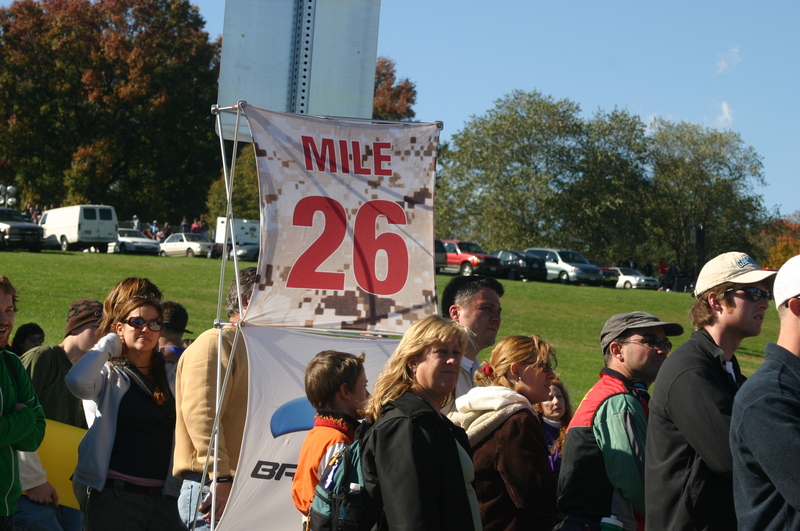 Back in 2006, I ran the Marine Corps Marathon. 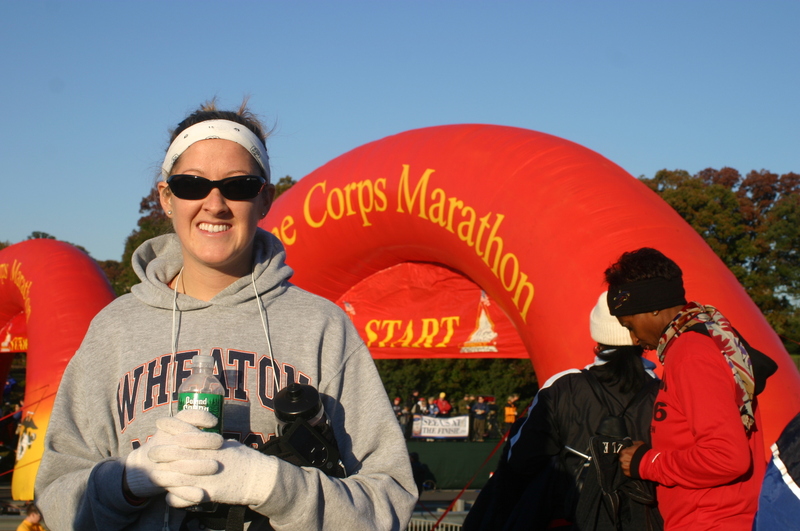 A few of my teammates were runners, and one night after a game they were talking about doing the Marine Corps Marathon. I thought to myself, I run (to stay in shape). I was a college athlete (swimming). I’m tough (tough enough to do a marathon?). 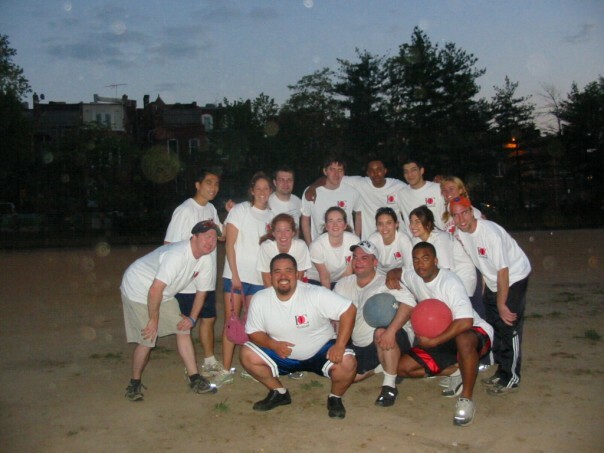 By the end of the night, we had decided that we were all going to sign up. Um, did I really just commit to a marathon? I’ve never even raced a 5K before. 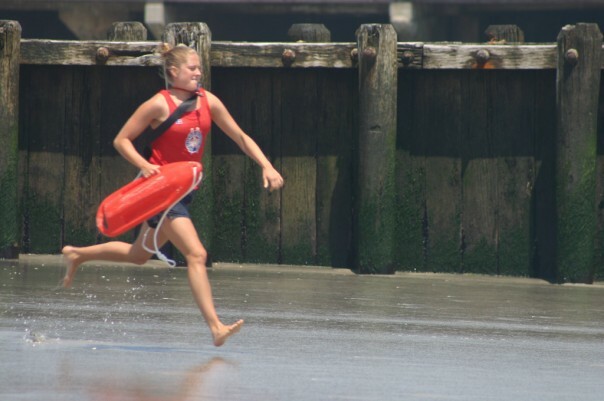 At the time, I was still lifeguarding in the summer, and spent many mornings running a few miles on the boardwalk, or doing mile ocean swims followed by a beach run, or killing a stair workout at the casino behind my beach, or doing what I was paid to do- saving some lives. I was in good shape, and thought I could just keep increasing my running mileage to be ready. I don’t have a training plan for my tris, and I didn’t have a training plan for my marathon. I didn’t know what I was doing. I figured I’d just keep running. This was not a good idea. I would HIGHLY recommend finding a training plan instead of just “wingin’ it”. I honestly have no idea what my mileage was while I was training for the marathon, but I know that I only did 2 long runs: one 15 and one 18 miler. Not. Smart. 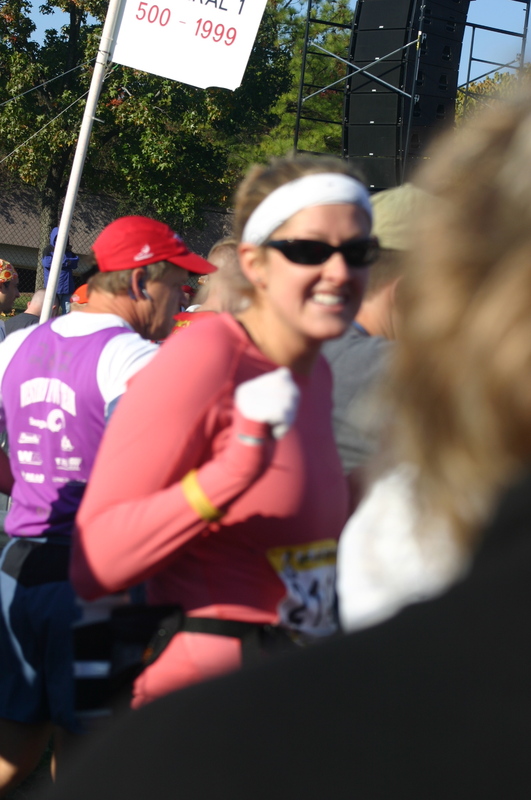 The day of the race, my inexperienced self showed up to the starting line, feeling nervous. I really had no idea what it was going to be like. 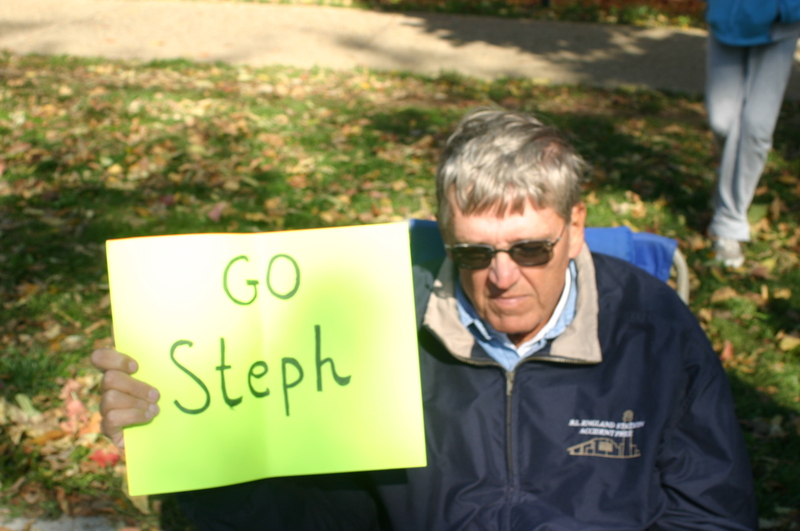 Thankfully, my parents had come down to cheer me on (and to be my paparazzi). I was feeling pretty good for the first half of the race, until about mile 15. Ugh. I still had 11.2 miles to go. 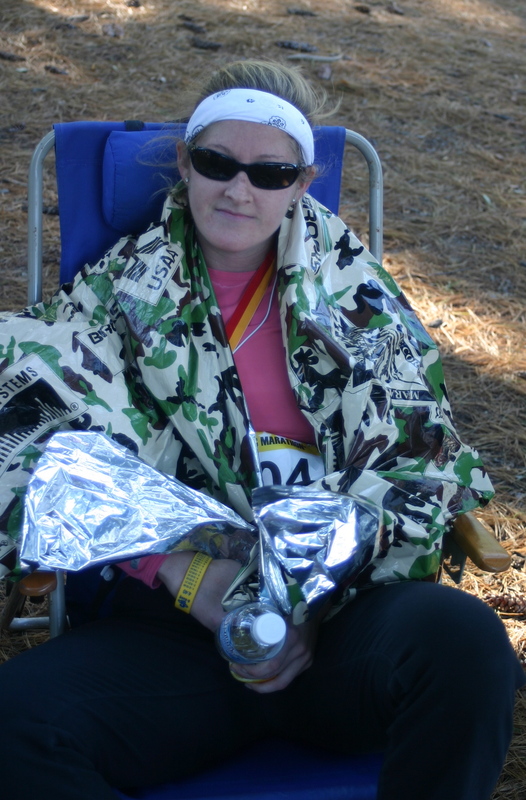 What was I thinking, believing I could run a marathon? As those negative thoughts creeped into my head, I recalled what one of my lifeguard stand partners said to me, “You’re not going to finish the marathon.” Oh yeah? Watch me. Two tenths of a mile after I saw that lovely mile marker, I finished. And, I never stopped to walk. I ran a whole marathon! But it was painful. I’m pretty sure that by mile 20, I could have walked faster than I was running. After that I wasn’t sure I’d ever do a marathon again. Not because I didn’t enjoy myself (I did, in that I like to do hard stuff so I can feel accomplished kind of way! 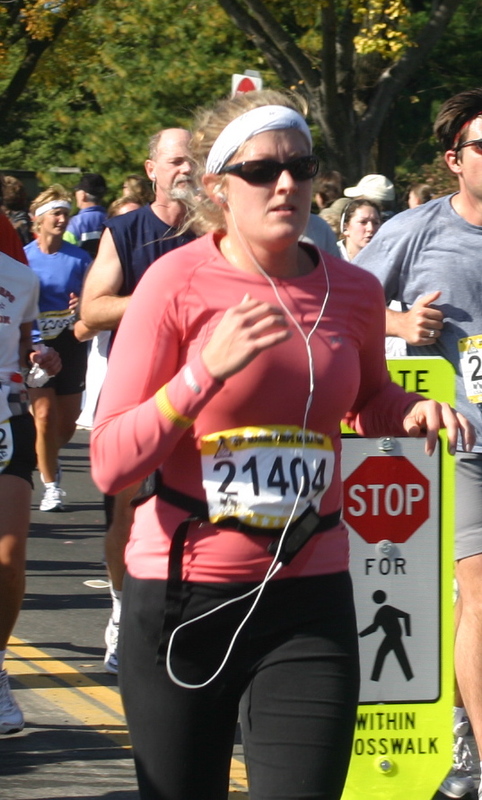 ), but because I know that it’s probably not the best for my body to be pounding the pavement for 26.2 miles. But my competitive spirit told me not to rule out the possibility for the future. 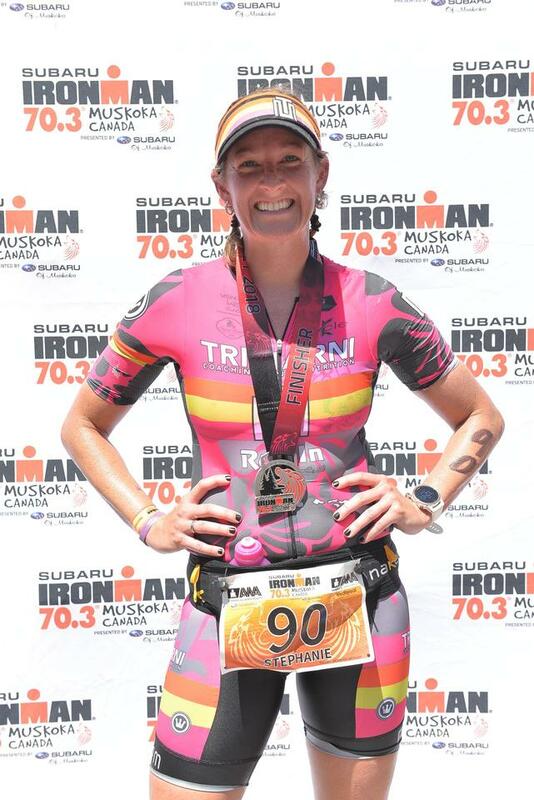 A year and a half later, I got into triathlons, and the thought of doing another marathon completely left my thoughts. I noticed a few weeks ago that the Miami marathon and half marathon fall on my birthday. This birthday happens to be my “golden birthday” – 29 on the 29th. Do I want to spend my birthday running 26.2 miles? Or would I rather take a trip to the spa and eat some amazing food? I chuckled to myself for even thinking about registering, as the excuses ran through my head. I’m not even finished my tri season; I should focus on my last race! It’s on my birthday, I should relax with my girlfriends! I don’t want to go to Miami alone; races are always better with friends! If I sign up, I’ll hardly get any bit of down time before I need to start training (with a training plan). Help! Do I do it? Split the difference and do the half! Or if you want to do the full, let me know…maybe we can train together?!? I’ve thought about doing the half, but I’m a “go big or go home” kind of person! Are you signed up for it? I’d love a training buddy! I’m not signed up, but I could be persuaded…especially after bailing on the marathon I’d planned to do in September. Let me know what you decide! I guess one approach to deciding would be to look at a training plan and work backwards. Do you want to be doing a 20-mile long run in early January? Or an 18-miler the week of Christmas? If you can meet the demands of a solid training plan (which I know you hate) in the context of everything going on in your life, then go for it! You’ll get there in great shape. Good call about the backwards planning…especially if they need to be on a treadmill because of snow outside. Going to look for a plan tonight and see where it takes me! Thanks Victoria! Run your age. It is a fun way to bring in your birthday. Run 29 miles on your 29th birthday then go to the spa and relax the rest of the day! 29 is hard! I couldn’t do it alone…but I could get some people to run along with me. It’s cold in DC in January though…Ahh! I’m so indecisive! OOH I didn’t think of it that way! If you are thinking about it, that means you want to do it!! I think it’s a great way to spend your b-day, but of course after a nap you need to eat and drink your face off. I def want to…but there’s the whole training in the winter thing. And the $. Oh, and not doing it alone! I thought about signing up for Miami and then picked Disney instead! That would have been fun. Want to wait until 2013? 😉 Though if you do sign up I’ll be doing long runs as well so maybe we can meet up some weekends! OOOh good to know! I’ll keep you posted! Hmmm, will you be able to train over the holidays? That’s the biggest question, I think. That’s a really good question. I haven’t made holiday plans yet, but I need to! I think if you really want to do it and are willing to commit to it, you’ll figure out a way to deal with cold temps, training through the holidays, etc. Sounds like an awesome way to spend a birthday! Thanks for your advice Erin! So much to consider! I’m in the DO IT camp… but that’s probably just because I’m running my first half the day before my 30th birthday! Although, mine is local, so I’ll still be able to celebrate with my friends and family. Do you think you could talk a person or two into at least going to Miami with you even if they don’t run? I can definitely see where you wouldn’t want to spend your birthday alone. Definitely a few different things to consider! I’m working on a few friends. The beach in January? Why not?! Thanks Laur! Wanna do it with me? Or are you going on a long hiatus after Cozumel? Do it! Why the heck not? i think its an awesome way to spend a birthday. Side note, I’m running MCM this year. Nice! Good luck at MCM! I hope to be out there cheering!